For sponsorship opportunities, please contact Prof. Dr. Dogan Gursoy at dgursoy@wsu.edu or Prof. Dr. Akin Aksu at aaksu@akdeniz.edu.tr. Company/University name/logo on conference web site. Hyperlinked company/university name/logo on conference home page. 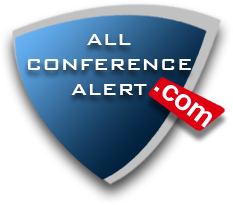 Company/University name/logo on conference signage (for sponsorships confirmed by September 17, 2014). Company/University name/logo on event or service signage. Company/University name recognition during general session. Company/University name recognition during sponsored event. Company/University name/logo in conference program (for sponsorships confirmed by September 17, 2014). Company/University name/logo in conference proceedings book (for sponsorships confirmed by September 17, 2014).